Spike/ Spike Teeth for combine harvester of New Holland. We offer our quality conscious customers a wide range of Combine Spike. Specifications Standards: AFNOR, ASTM, BS, CSN, DIN, GOST, IS, ISO, JIS, SI, SIS, UNI. A large gamut of Forging Components can be availed from us at cost effective rates. These components are provided to the clients in different sizes, shapes and specifications. We have a capacious warehouse, where these components are stored safely. 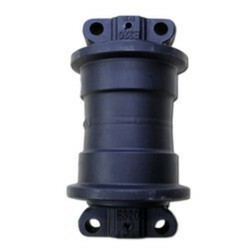 These components are widely appreciated for excellent mechanical and physical properties. we have forging presses with tonnage capacity of 50 tons to 450 tons; these presses include mechical, screw type, and hydraulic presses. With these presses we manufacture forging parts with minimum weight of 5gms. /pc. To maximum weight of 900 gms. / pc. With various profiles. RangeZ: From 0.05 kg to 1.00 kg - Single Piece. Being a leading firm in this industry, we are manufacturing and supplying a wide range of Forging Parts. 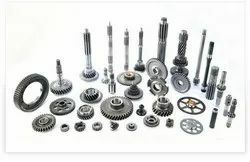 - Broadly used for in automobile industry for a wide variety of gears, sprockets, levers shafts, etc. Forging parts we manufacture brass forging parts that are made from superior grade brass. Desired properties like malleability makes the use of brass imperative. The parts we manufacture are supreme in performance and functionality. We have 250 metric ton forging screw press so more than 1 kg items possible for forging.